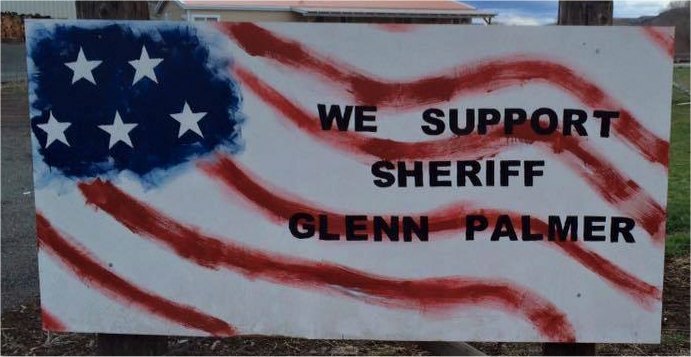 Grant County Sheriff Glenn Palmer Wins Election Despite Media Narrative | RANGEfire! There you go, the evil wicked deeds of this Sheriff are exposed! 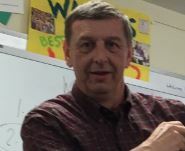 It is common knowledge that Palmer supports the Constitution of the United States and is well regarded in his county. However, the mainstream media has made continuous attacks on him and his character in their attempts to thwart his reelection campaign. It didn’t work. Palmer won his bid for a 5th term in office. In particular, the Oregonian and their reporter, Les Zaitz, have been focused on Sheriff Palmer and seemed to lead the charge to discredit him. Just beginning with the Refuge Protest and since, they have systematically accused him, tried to bury him in paperwork, sued him, publicly ridiculed him, and now are trying to bankrupt him. Les Zaitz specifically seemed to be on a crusade to discredit Palmer. Most of the articles were written by him and include innuendo and supposition. While the public’s need to know is great, the journalist has a responsibility to show both sides of the issue and focus on the truth. These headlines suggest unscrupulous activity by Sheriff Palmer when just the opposite is true. Based on the sheer volume of articles/mentions published by the Oregonian (1360 as of today) Palmer must be making them an enormous amount of money. But that doesn’t seem to be enough for them. Based on court documents made public, the Oregonian is suing Sheriff Palmer for attorney fees related to a previous lawsuit they filed when they asked for an extraordinary amount of documents in a short period of time. This is a small sheriff’s office, without the manpower of the larger cities. However, every couple of weeks they would send new requests of massive amounts of research they expected immediately. I believe in the Freedom of Information Act (FOIA). I believe in the public’s right to know, and transparency in government. I will always jump up and support anyone in their attempts to gain information and report the truth. But, we are also expected to be reasonable. WOW! This is a Mountain of paperwork! And they got upset when this small office could not handle their requests in the time frame that they demanded? Like the rest of the Liberal media we have watched over the course of this election cycle, these folks were busy stomping their feet and having tantrums just to get their way. They had an agenda and it was very important for them to control the narrative, therefore the election. When Sheriff Palmer could not, or would not, bow to their demands, they decided to ‘punish’ him into compliance. It began with a lawsuit, then several more ‘slanted’ articles, public exposure of ‘select’ portions of his deposition, and multiple attempts at public humiliation. When you think about it, this is what Donald Trump dealt with from the media during his campaign, so it seems to be a typical strategy for far-left extremists. But, since they did not get everything they want, they are now showing their petulance and are demanding about $78,000 to pay their attorneys. Who do they believe is expected to pay these fees? The county, which means the people through their taxes? Or the Sheriff himself, which would just be designed to bankrupt him? And it worked! Palmer won his bid by a very comfortable margin. This shows that the county supports his efforts by an easy majority. The faith of the citizens held true and they want their Constitutional Sheriff! The progressive media are still licking their wounds and wanting to lash out in revenge. That seems to be the entire reason they are continuing their hostility towards this conservative county, through their sheriff. They did not follow what was expected and now they must pay the price? One wonders how this will ultimately play out for them. Do they believe that these actions will endear the public to them, with their sales revenue and subscriptions increasing? Or will they end up in the box with CNN as a most UNtrustworthy news source? I believe it is time for the main stream media to learn a few lessons from this historic election cycle. They need to understand the citizenry of this great country. The temporary experiment with Socialism has failed. It is over. Oregon is considered a liberal state only because of the large city of Portland. The majority of the remaining counties are conservative. This was proven, again, by the recent Malheur Protest Trialin which jurors were selected from all over the state. The jurors did not buy into the leftist agenda of conspiracy, choosing instead to acquit all defendants. Times have changed and the main stream media have made themselves irrelevant. The public trust has landed squarely in the court of the alternative news outlets. To continue, the liberal extremists must get past their bigotry of conservatives.